There is always going to be a demand from people to get more benefits, reduce taxes but at the same time the government of the day has to take into account fiscal position, Mistry said. 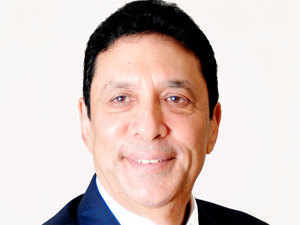 Keki Mistry was quick to point out he does not expect any changes in tax rates soon as the next budget will be a vote- on-account due to the general elections. MUMBAI: There is a need to bring down the tax rates from the current high levels as it will help in improving revenue collection and reduce black money generation, according to HDFC vice-chairman and chief executive Keki Mistry. But he was quick to point out he does not expect any changes in tax rates soon as the next budget will be a vote- on-account due to the general elections which are due in April-May. "My personal view is that we really need to bring down tax rates because whatever little black money generation happens now is because of high tax rates. If you bring down tax rates, you bring down the inclination of the people not to pay taxes," Mistry told reporters on the sidelines of an ICAI seminar here Friday. He said lower tax rates will also help in collecting more money. "We cannot let the fiscal slip too much. The government has to keep that in mind. It's a close balancing act," he said. Mistry expects the full budget, which will be presented by the new government to give a lot of focus on the rural economy as it needs a lot of support. "If a spurt is given to the rural economy, it will ultimately translate into all-round economic growth," he said.